This article shows how to get a rookie (like me 😀) started with using the AT-09 with an Arduino. 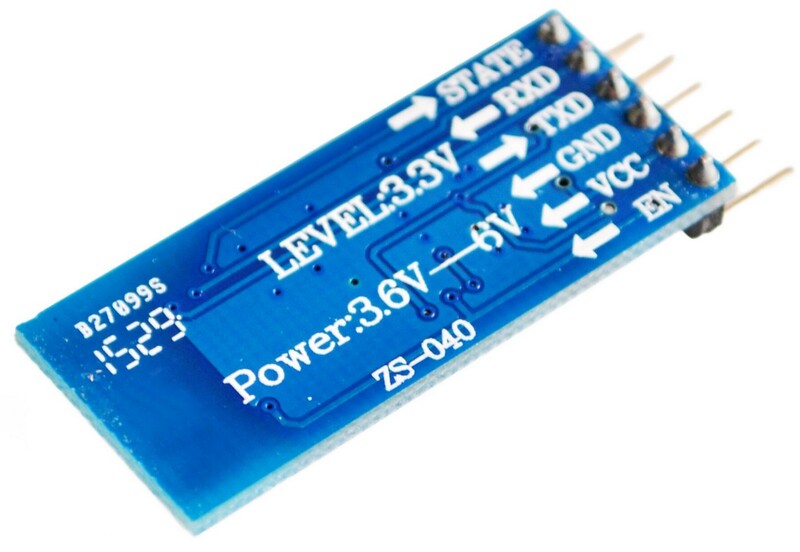 The AT-09 is a module that contains a BLE chip (a CC2540/CC2541). This module allows to perform serial communication with the BLE chip thanks to an Rx and a Tx pin. 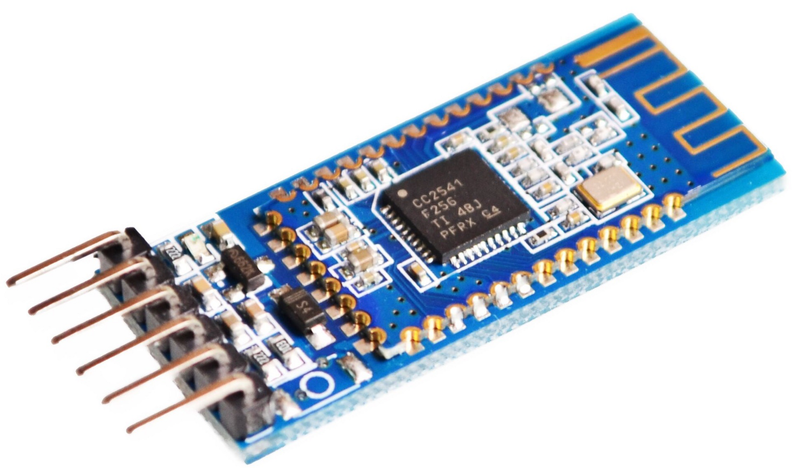 This module is also very similar to the HM-10 module and is also compatible with it. So if you have some experience with the latter, you will get started quickly with the AT-09. Let’s start by turning on the module. Turn on you Arduino, you should see the AT-09 led blink. 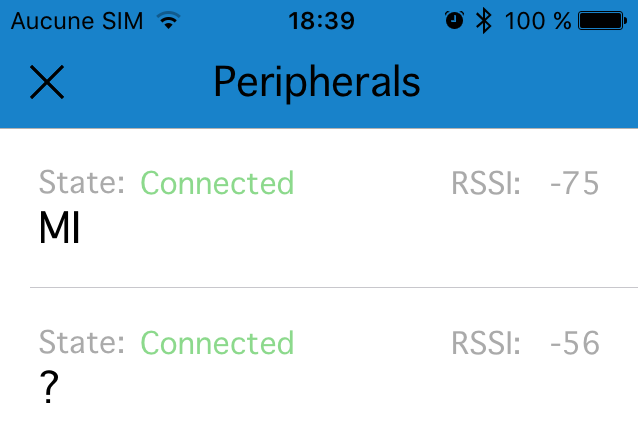 If you have a BLE smartphone, you can also open a BLE scanning app to scan for the AT-09. In my case, I used BlueCap on iPhone. The module was detected as device named ?. You can have a different result. In the next section, we will see how we can send commands to the module with the Arduino. To allow the Arduino to communicate with the AT-09 BLE module, we use the serial interface (the TXD and RXD pins). Hopefully, Arduino allows to turn any pair of digital pins into a serial interface using the SoftwareSerial library. After establishing the serial connection, We can start transmitting data to the AT-09 module. The module understands certain data as commands. These commands are the HM-10 AT commands. We will see some examples in this article. Additionally, you can download the reference here https://github.com/yostane/arduino-at-09/blob/master/hm-10-datasheet.pdf or by searching the internet. Of course, you can connect the RXD and TXD pins to any Arduino digital Pin (other than 0 and 1). 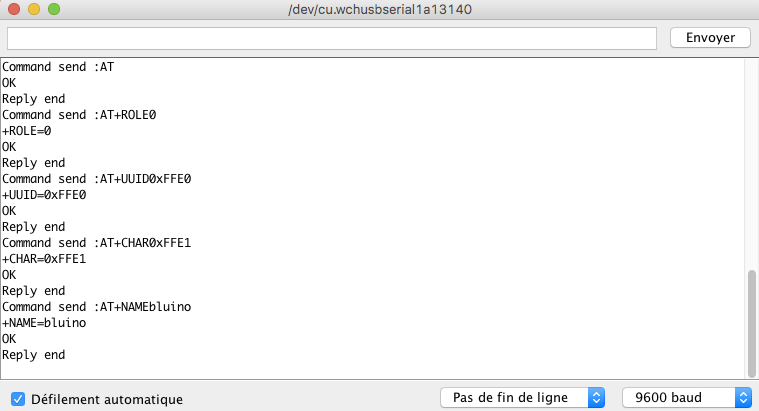 Next, we declare the serial interface like this: SoftwareSerial mySerial(2, 3). This means that the arduino will use pin2 will be used for reception and pin 3 for transmission. After that, we can begin the serial communication by calling mySerial.begin(9600) and send the first command mySerial.println(“AT”). We have an OK Huston ! The difficulty here is distinguishing between the Serial object and the mySerial object. 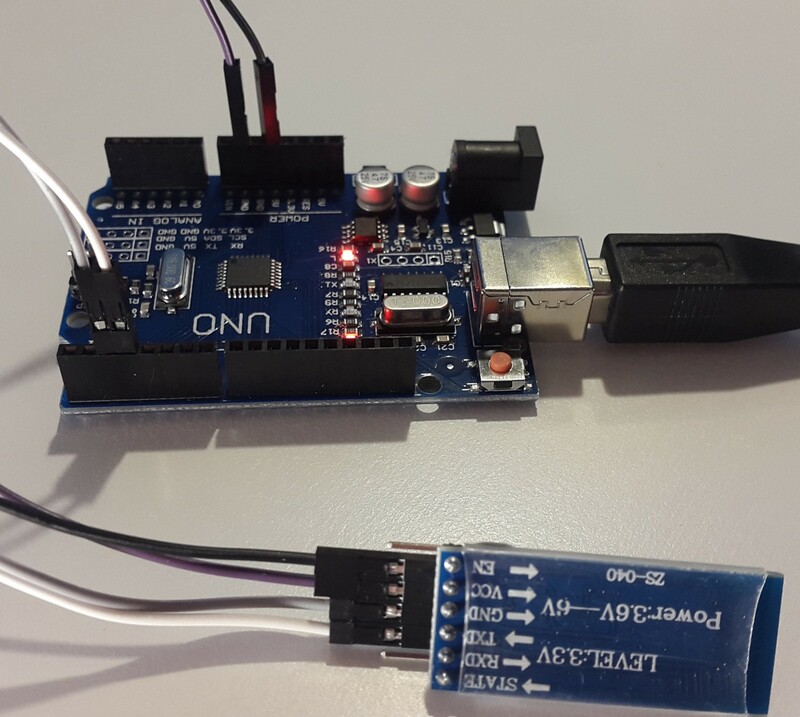 The first one is the serial interface between the Arduino and the PC (thourgh USB and pin 0 and 1) while the latter is the serial interface between the Arduino and AT-09. Congratulations, we sent our first command to the AT-09 module through the Arduino. In the next section, we will configure the module as a BLE peripheral using commands. An important detail to note here is that the AT-09 allows only one service that contains only one characteristic when it is configured as a peripheral. On the Arduino sketch, we will send these commands during the setup() step since we will do it once when the board it boots up. In order to send them easily, let’s define a function. It will take the command as a parameter, sends it, and displays its result. Note that I force a delay between sending a command and reading its reply. I did it because I noted in my tests that there is a lag between these two steps. So, better keep the delay :). Please note that the only available characteristic can store up to 20 bytes of random data. The loop() function does simply a call to the readSerial() function. I use LightBlue on iOS to write data to the characteristic. Note that the AT-09 led will remain red when a central is connected. The video below illustrates what we have done. Just remember that the characteristic is limited to 20 characters. The loop() method will print a value that gets incremented after each write. This sketch will write these values one by one: 1, 2, 3, 4, 5, etc. After each write, the AT-09 module will update the characteristic and also send a notification. On our central app, we will receive notifications following this order: 1, 2, 3, 4, 5, etc. In this video, I use LightBlue to subscribe and receive the notifications. Let’s finish this article with a small cool temperature application :). For this section, we will need a temperature sensor. I am using the LM35 sensor here. After establishing the connections, we will need to read the temperature from the analogue pin. Here is a helper function that allows to read the temperature in Celsius. Since the result is a float, I decided to convert it to a string before sending it to the AT09 module. This is possible thanks to the dtostrf function. Its synopsis is dtostrf(float, minimum width, precision, character array). When the conversion is done, we just need to send the string to the serial port of the AT09 module. Our sketch is now completed. This video illustrates the iPhone receiving the notification in real time. It is time to conclude now. This article guided you through the necessary steps to connect, configure, and communicate with the AT09 BLE module. We finally made a small temperature application that sends up to date temperature data through BLE. Mobile app developer at Worldline, teacher and PhD. I love programming, videos games and manga. Trying hard to learn some Japanese.